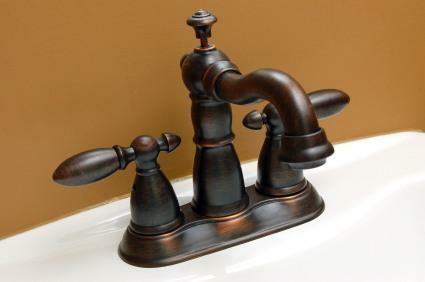 If you have decided to update your bathroom, you may want to check out bathroom faucet warehouses. While they may be hard to find locally, there are hundreds of them online carrying every style of bathroom faucet imaginable at excellent prices. If you have an idea of the style of faucet you are looking for you can find it almost anywhere. Sticking with a certain manufacturer means that you will want to make sure that the bathroom faucet warehouses you are considering purchasing from carry faucets by that company. Is there an outlet locally? If it is online, is the site user-friendly? Do they have customer testimonials so you can get an idea of their customer service and return policies? Do they have an 800 number so that you can ask questions? Do they honor price guarantees or match other companies' prices? Stores that actually specialize in bathroom faucets may be hard to find locally, but you can check your Yellow Pages to find them. Most of the large home improvement stores carry a wide selection of bathroom faucets, however, and you may be able to find exactly what you want at Lowe's or Home Depot. Choosing to purchase your faucet online will open up a much wider selection than if you were to go to a local retailer. Try to have a pretty good idea of what you are looking for before you shop. It is not a special-order item. When shopping online at bathroom faucet warehouses it is important to read the descriptions and policies, carefully. You need to know exactly what you are getting. Be sure that you completely understand the shipping and return policies of the company and that you follow their instructions carefully if you must make a return. It is also a good idea to pay with a credit card rather than a check because if there is a dispute the credit card company can help you get your money back.Take your faucet out of the box and check it carefully when you receive it so that if there is a problem you can contact the company immediately. Buying bathroom faucets online can be a great way to save money as long as you are careful.